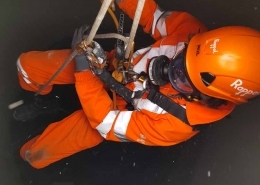 Industrial Rope Access: What is it? 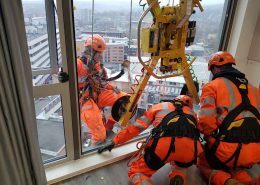 What is Rope Access? 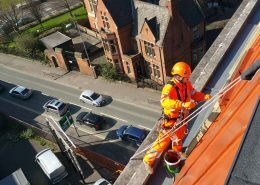 Industrial rope access is a relatively modern means of accessing to and egressing from a place of work. 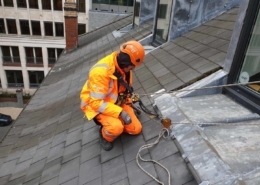 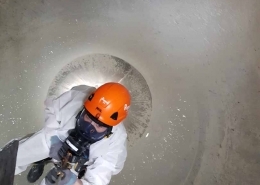 In very simple terms, a rope access system utilises specifically designed and dedicated equipment including; anchorages, ropes, harnesses, connectors and other specialist devices. 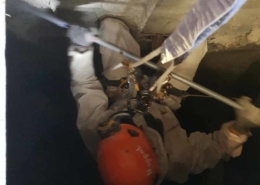 Rope access was initially industrialised from a combination of techniques and practices used in the recreational sports of cave exploration and rock climbing. 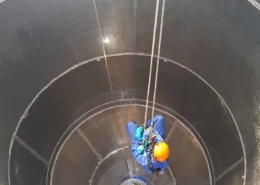 In the UK, rope access based systems were firstly implemented in the North Sea offshore oil and gas environment as a means to undertake the necessary maintenance to the sectors installations and assets. 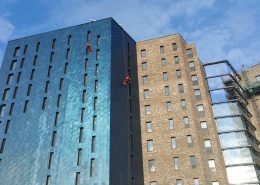 It was further developed by a consortium of companies who promptly realised the significant advantages to using this lightweight, highly mobile and cost effective method of access. 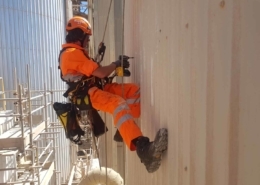 Unlike traditional methods of access such as scaffolding, cradles and elevated platforms, a rope access system generally has a minimal footprint, reducing the impact on other site activities. 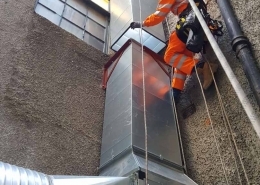 A rope access system is not just limited to working on a vertical face, with the addition of more equipment a technician is also capable of accessing horizontally or diagonally across a plane, making it possible to move between all x, y and z axis. 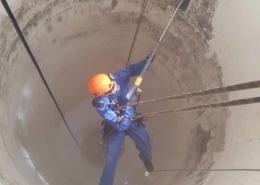 Following its evolving reputation as a safe and viable method of access in the offshore sector, it did not take long for rope access to make the migration to onshore sites. 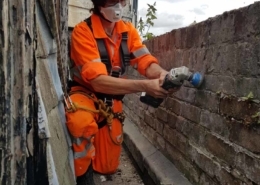 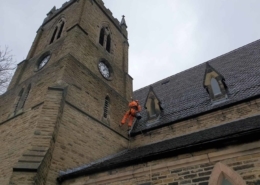 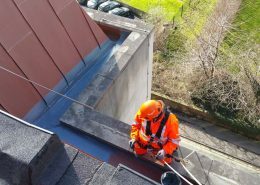 Since the formation of the Industrial Rope Access Trade Association (IRATA) in the 1980s, rope access has developed significantly and is now a highly popular method of undertaking work at height. 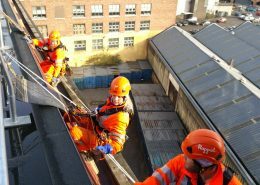 At Rappel we undertake all of our rope access operations in accordance with the IRATA International Code of Practice (ICOP) and the requirements of ISO 22846. 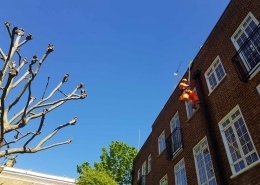 Our competent and experienced rope access technicians are all trained, assessed and certified in accordance with IRATA standards.